Every year, about one out of four deaths in the U.S. are due to heart disease. Did you know that a type of drug called platelet aggregation inhibitors can help prevent heart issues? Whether you're already navigating heart issues, or are just thinking about staying healthy in the future, you might benefit from platelet inhibitors. Wondering what you need to know about these medications? We've put together the answers to some common questions about the platelet aggregation inhibitor here. Keep reading to learn how to keep your heart healthy! First, the basics: what are platelets, anyway? These cells make up part of your blood. All of your blood cells, including white, red, and platelets, come from your bone marrow. Platelets, in particular, are responsible for forming clots, so your body can stop the bleeding if you get a cut or abrasion. Your blood vessels can signal areas of damage so platelets will go where they're needed. In order to form the clot, your platelets need to come together in large quantities, also known as platelet aggregation. Most of the time, platelet aggregation is a good thing. It's important that your body can form clots to keep you from bleeding too much if you have an injury. Your platelets work alongside proteins in your blood's plasma to form essential clots. However, sometimes people have excess platelet aggregation. If your platelets collect too much where they're not supposed to, you could get a blood clot that leads to stroke or heart disease. Most of the time, your body will simply break down a blood clot once you've healed and you no longer need it. But if a clot forms inside the bloodstream where there's no injury, the process isn't working correctly. When your body doesn't dissolve these clots, the consequences can be serious, even fatal. These bad clots form in your arteries or veins and block the flow of blood to essential organs. They can also travel through the body, sometimes ending up in the lungs or heart, where they can wreak havoc. Lots of factors can contribute to excessive platelet aggregation. Trauma, surgery, and injury can make you more prone to risky clots. Obesity and a sedentary lifestyle can also make clots more likely. Your hormones can also affect platelet aggregation. What Are Platelet Aggregation Inhibitors? If you're at risk for clots, you need a drug that will keep your platelets from aggregating so much. That's where platelet aggregation inhibitors come in. You might have heard these drugs referred to as "blood thinners," but that name isn't really accurate. They don't thin out your blood. Instead, they keep your blood from forming those risky clots, and help your body break down the clots if they do form. If you have a history of heart disease or chest pain, you might get prescribed platelet aggregation inhibitors. Let's take a look at some of the most common types. The most common platelet aggregation inhibitor is aspirin. Many people know this over-the-counter medication for its ability to reduce fevers and relieve pain and inflammation. Even though aspirin is sold over the counter, it's important to consult with your doctor if you plan to take it for platelet aggregation inhibiting purposes. It's important that you get the right dose to reap the benefits with no harm. The higher the dose, the harder time your body will have forming a clot if you have a cut. It's important not to take a dose that's too high; otherwise, you could have bleeding problems. The right dose will prevent clots just enough to keep the risky ones away, without keeping your blood from clotting at the site of a wound. Another kind of platelet aggregation inhibitor is prasugrel. This drug is typically prescribed alongside a low dose of aspirin. It works in effectively the same way, by preventing your platelets from sticking together as easily, although it doesn't also relieve pain like aspirin does. This platelet aggregation inhibitor also supplements a low dose of aspirin. While these different drugs do basically the same thing, your doctor will help you determine which one is best for your specific needs. For example, some patients experience side effects that they can't tolerate with certain drugs. If you've already had a stroke, you might get prescribed ticlopidine to help prevent another one. This twice-daily medication, like other so-called "blood thinners," doesn't mix well with alcohol. It's also important to always follow the instructions given by your doctor with any platelet aggregation inhibitor. While there are a few other platelet inhibitors that you could get prescribed, these are some of the most common ones. How Do You Take Platelet Inhibitors? All of these drugs are taken orally. Some will be taken once a day, while others are twice a day. In rare cases, you might be allergic to aspirin or one of the other ingredients in a medication. Make sure to always tell your doctor about any allergies that you're aware of before you start taking something new. 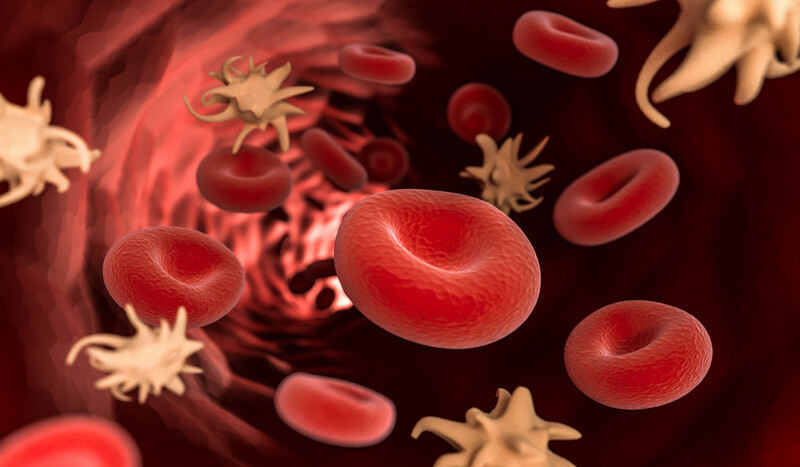 If you already have bleeding problems, or are planning to have a surgery, that can also impact your ability to take platelet aggregation inhibitors. Since they reduce your ability to form blood clots, they can easily result in too much bleeding during surgery. Some people will take platelet aggregation inhibitors for the rest of their life. Luckily, as long as you find the right drug and dosage for you, they work well for long-term use. It's common to take aspirin in the long term, and use one of the other supplementary inhibitors for a shorter amount of time following a heart attack or stroke. Are Platelet Aggregation Inhibitors Right for You? The only people who can decide if these drugs are best for you are you and your doctor. But if you've had heart disease or other blood clot issues before, or are at risk for them, platelet aggregation inhibitors might be the best way for you to stay safe. Once you have your prescription, it's important that you have a convenient, reliable source to get it from. Learn more about how to order prescriptions online from us here!